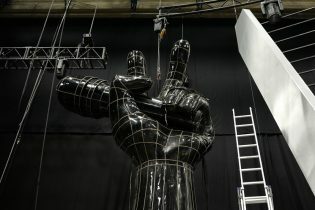 This year sees our set for ITV’s The Voice in use for a third season. 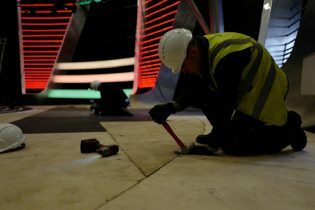 This show comes with a full-on filming schedule: The Blind Auditions, Battles and Live Shows, for both adults and kids, see our crew installing and reconfiguring the set six times across two different locations. 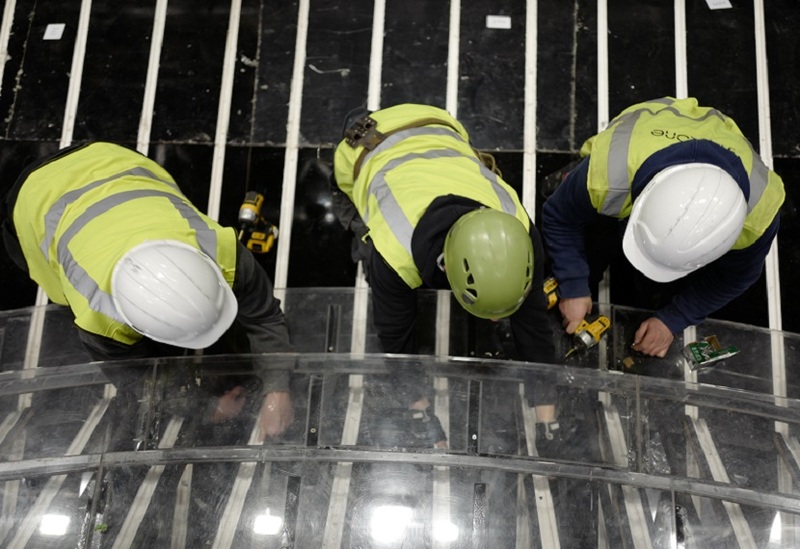 The high-spec set is large, with an 11m circular stage constructed from a mix of stock and bespoke units. 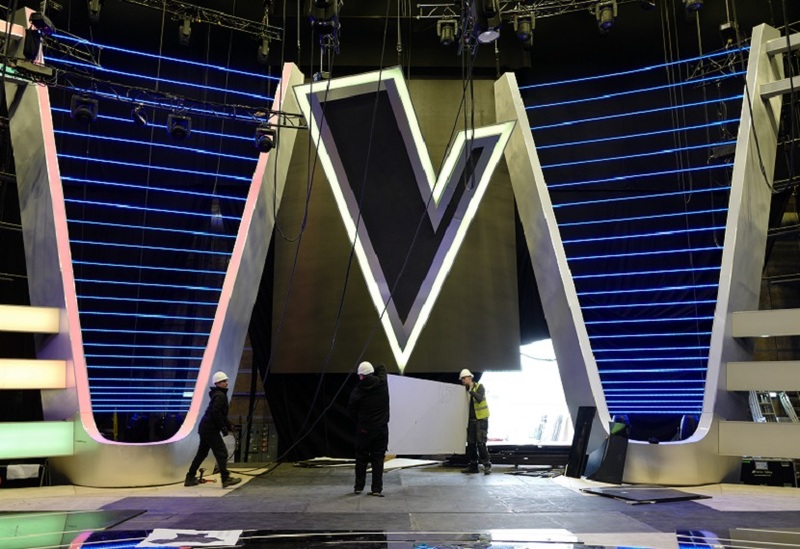 This is flanked by four 10m high ‘V’ units, with a giant ‘V’ logo suspended between. Lightboxes of different sizes and arrangements create a dynamic backdrop and are used to create numerous effects. A large, acrylic floor surface reveals a video floor underneath and is surrounded by black gloss laminate surface treatment accommodating LED strips. For 2019, we created a new Judges’ stage, accommodating new LED screens and replacing the LED strips of the previous two iterations. 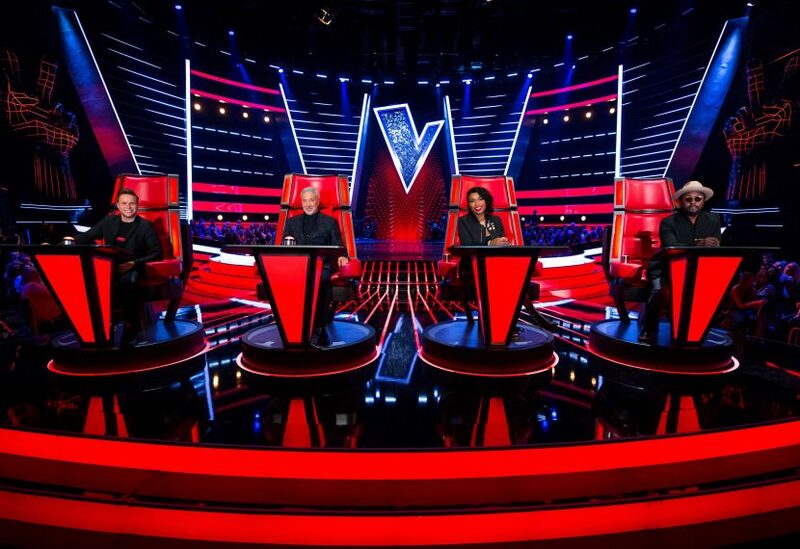 We also created new seat covers to protect the iconic Judges’ chairs during rehearsals and made new travel crates for some of the lighting racks, ensuring the set reaches the Manchester or Elstree Studios ready for the next filming slot in the busy schedule.